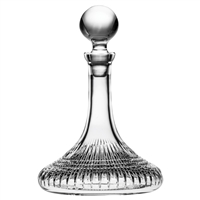 Whisky Connoisseur, a range of prestigious hand cut mouth blown crystal. 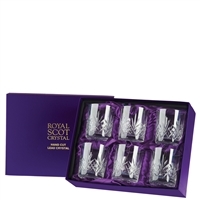 Boxed six British hand cut 24% lead crystal whisky tumbler glasses by Royal Scot Crystal. Highland pattern. Boxed six British hand cut 24% lead crystal large whisky or spirit tumbler glasses by Royal Scot Crystal. Highland pattern. 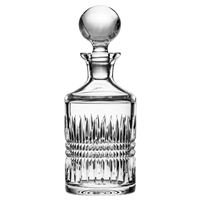 British hand cut 24% lead crystal traditional square whisky spirit decanter by Royal Scot Crystal. Highland pattern. 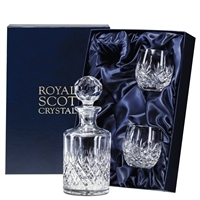 British hand cut 24% lead crystal traditional square whisky spirit decanter and glasses set by Royal Scot Crystal. Highland pattern. 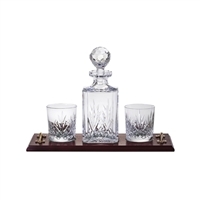 Solid oak tray and British hand cut 24% lead crystal traditional square whisky spirit decanter and glasses set by Royal Scot Crystal. Highland pattern. Solid oak club tray and British hand cut 24% lead crystal traditional square whisky spirit decanter and four glasses set by Royal Scot Crystal. 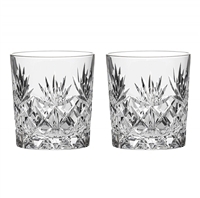 Highland pattern. 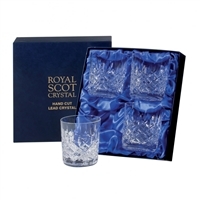 Boxed pair of British hand cut 24% lead crystal whisky glasses by Royal Scot Crystal. Boxed pair of British hand cut 24% lead crystal large spirit or whisky tumbler glasses by Royal Scot Crystal. 24% lead crystal British hand cut traditional square spirit or whisky decanter, Kintyre pattern by Royal Scot Crystal. Gift boxed. 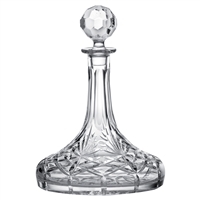 24% lead crystal British hand cut traditional ships decanter, Kintyre pattern by Royal Scot Crystal. Gift boxed. 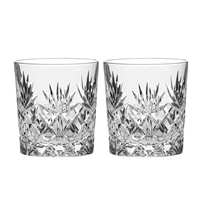 Set of 4 whisky tumbler glasses, 24% Lead Hand Cut Crystal. 87mm. Presentation boxed. 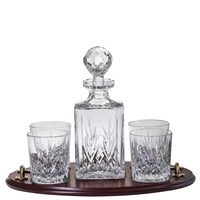 Solid oak Whisky or Scotch tray with brass fittings and lead crystal Westminster decanter and two tumblers by Royal Scot Crystal. 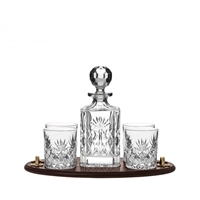 Solid oak Whisky or Scotch club tray with brass fittings and lead crystal Westminster decanter with four tumblers by Royal Scot Crystal. 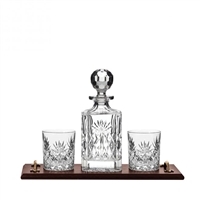 Solid oak Whisky or Scotch tray with brass fittings and lead crystal kintyre decanter and two tumblers by Royal Scot Crystal. 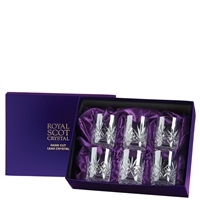 Barrel shaped Whisky glass and spirit/single malt decanter set, gift boxed. 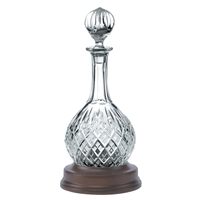 24% lead hand cut crystal. 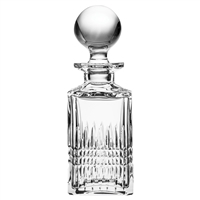 Fine British hand cut 24% lead crystal small 660ml spirit decanter. Gift boxed. 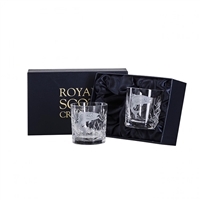 Set of 2 British hand cut 24% lead crystal water or whisky 240ml glasses. Gift boxed. 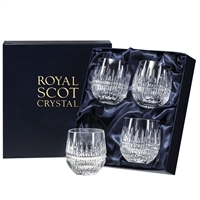 Set of 4 British hand cut 24% lead crystal water or whisky 240ml glasses. Gift boxed. 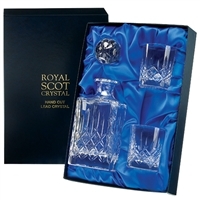 Spirit decanter plus 2 British hand cut 24% lead crystal 250ml whisky glasses. Gift boxed. 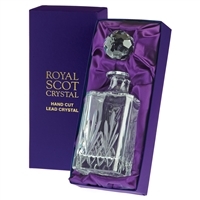 Fine British hand cut 24% lead crystal small spirit decanter: Gift Boxed. 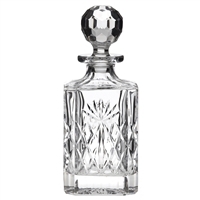 Fine British hand cut 24% lead crystal round spirit decanter, gift boxed.